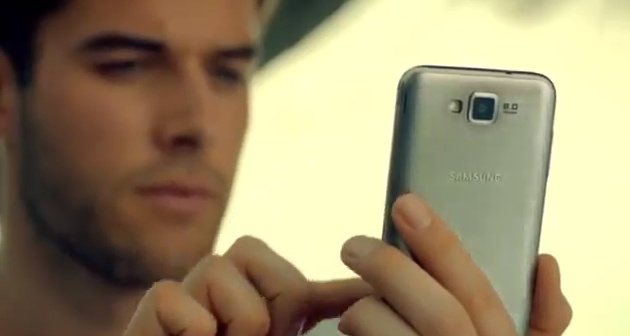 A video of what appears to be a rather unusual commercial is by Samsung has been uploaded to YouTube. The advertisement shows off he Samsung ATIV Windows product line-up. Using an odd script with cheesy acting, the company presents its Windows Phone 8 handset, Windows 8 tablets and laptops. Sure, it's advertising what's on offer and shows how it all works together with Microsoft's intuitive integration using backend cloud services. But there's something about the advert that reminds us of how shaky its ATIV presentation was back at IFA 2012 in Berlin. 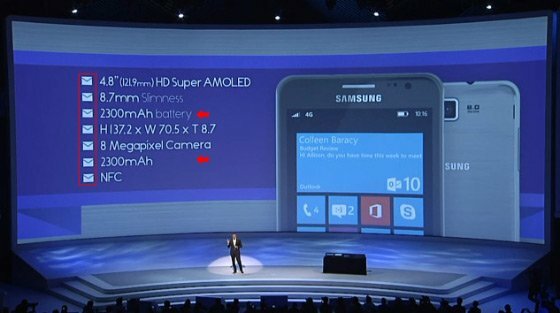 The mail bullet point icons, the duplicate battery listing for the ATIV S - it just appeared to be a botch job. Samsung plans to release the ATIV S as a successor to the relatively successful Focus line of Windows Phones (compared to other handsets within the ecosystem). While the company may not be in the spotlight as much as Nokia - it doesn't need to be. Android is where Samsung is a strong force, and Nokia is now entirely dependant on Microsoft's mobile system. However, Samsung could push its own hardware harder. Botch job or skippable errors? The ATIV S is a solid looking phone, with an attractive finish. Boasting advanced specifications (we like the amount of storage with the added option of the SD slot) with all the bells and whistles, it's hard not to be interested. But the way Samsung is going about Windows Phone seems wrong, and when there's now attention brewing not only with Windows Phone 8, but with Windows 8 and Microsoft's Surface, it would make sense for the company to be pushing hardware in Microsoft's direction. Products are now linked together, which Microsoft will be attempting to exploit to further boost Windows Phone's user base. Is Samsung wrong to be distant from this advancement by Microsoft? Only time will tell, but we'd rather see the company do more when the launch of the ATIV S comes - they could well surprise everyone with an effective marketing campaign. We sure hope so.